Traffic Stop Lands On in Jail :: RickeyStokesNews.com! DOTHAN: Today around lunch a Dothan Police Officer spotted a vehicle that had a bolo. 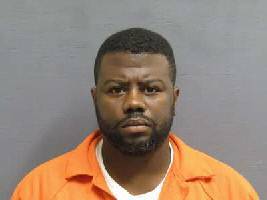 The occupint Brandon Allen Ranson had a warrant for Murder handed down by a Houston County Grand Jury. Ranson was spotted heading East on West Main and the Officer called in it in and requested back. When other officers got in the area the patrol officer made a traffic stop on the vehicle just off South Park. The driver was taken into custody with out incident and transported to the Houston County Jail.